Artistic Director Spencer John Powell presents a new work titled “Graves”, based on his experience living with Graves’ disease for the past 20 years. Powell will also re-stage his 2015 work “Arctic Nights”, originally commissioned for Diversionary Theatre’s production “Hot Guys Dancing”. In this production, Powell takes a new look at the work and adjusts the cast to include female dancers. Powell also presents a new work titled “Manifesto” that looks into the world of gender identity and trans-genderism. In-resident choreographer Kiona Daelyn presents a new work titled “Thaw”. This piece is the first work from the suite titled “Out of Balance”, a reflection and exploration of our changing climate. 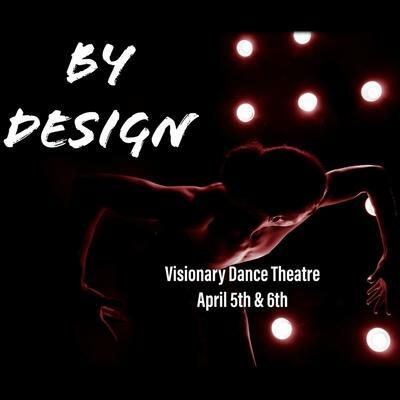 Catch Visionary Dance Theatre this spring as “By Design” promises a beautiful and thought-provoking dance experience.